Anyone who has ever owned a dog will know that keeping your house clean and free from fur is impossible with a pooch! 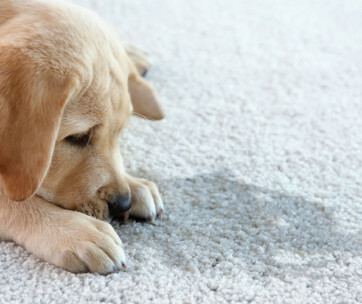 Dogs have this uncanny ability to seek out mud and debris and bring it into the house for you to clean. It’s no wonder we don’t want them on our couches! On the other hand, dogs are like members of the family and they bring people lots of joy and companionship, so naturally we want them to have the very best lives. Letting your dog sleep on the sofa is asking for trouble! Your lovely clean sofa will start to look old super fast, unless you use a dog couch cover. 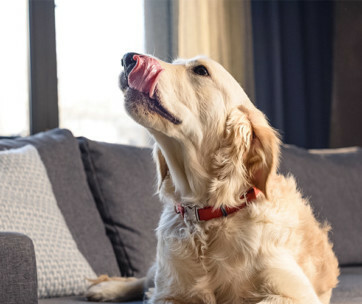 Pet couch covers that stay in place are absolute life-savers when it comes to protecting your furniture. It can be a bit daunting deciding which is the best for your home, so we have made the task easier by selecting some of the best on the market. The Original Sofa Shield protectors have a reputation for being the best on the market and that’s for a very good reason – the products are really good. There are lots of other dog couch covers available, but this stands out because it provides a generous size which will cover more of your sofa. Other really nice features include a high thread count for a soft feel, and thick plush filling for total comfort. This pet sofa cover is available in a wide variety of different colours and patterns and is fully reversible, meaning you get two variations of colours for the price of one! The covers have a patent pending strap design which is very useful as it holds the cover in place and has been specially designed so you can adjust the fit. Easy to clean, these pet furniture covers are 100% machine washable too. Lastly, what made us add this product to our list was the lifetime warranty. If, for whatever reason, you are not happy with the product the company are happy to offer you as refund or exchange. What we like about the SureFit dog couch protector was its luxury appearance and feel. Manufactured from plush material, the padded sofa cover gives the ultimate furniture protection for children and animals. This stylish dog couch cover is available in a variety of different sizes so will fit your furniture whether you have a sofa, recliner or loveseat. It also comes available in a selection of classic colours that can blend in with your interior, including: grey, burgundy, chocolate and beige. 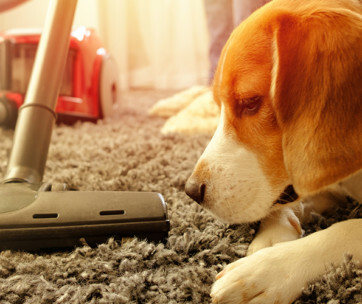 The material of this product is pretty unique as it has been treated with a protective Sanitized Actifresh finish which is renowned for resisting odors between washes – perfect for when Fido decides to jump onto the sofa after it’s been raining! It’s easy to fit and clean too, you can pop it in the washing machine then tumble dry on a low heat. If you are searching for standard pet furniture covers then you will find many available on the market. This sofa slipcover stands out because not only does it protect your expensive furniture, but it also looks attractive too with its beautiful design. You get both style and substance with this product as it’s fully functional as a dog couch cover. Available in a variety of sizes to fit your sofa or chairs the Chiara Rose Sofa Slipcover has been treated so it repels droplets of liquid. It also features a patented plastic drop design on the back, which creates an anti-slip effect. Anyone with children or animals in the house will know that pet couch covers that stay in place are usually rare, so having this feature is a real added bonus. This cover has been designed with simplicity and style in mind and the anti-slip feature means that it doesn’t need hooks, straps or any other unsightly features that just get in the way. Often dog sofa covers are quite plain in style and don’t really add any decorative features to your home. We found that the Elaine Karen couch covers were different. These couch covers for dogs have been designed to either blend in with your existing decor or make a big statement. Choose between several bold colors or opt for one of the creative patterns available featuring shells, palm leaves or a safari theme. The best part is that these covers are also fully reversible so with every design you get two different design options. 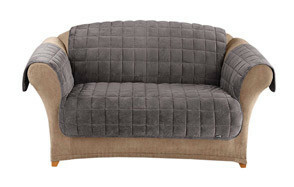 This quilted sofa cover has also been designed with comfort in mind, for your family or pets to enjoy. The covers are held in place with a special loop and are 100% machine washable. If you’re looking for pet furniture covers that offer full protection then the Le Benton style may be the perfect choice for you. This cover slips over your entire sofa, giving your furniture a new lease of life and keeping it protected from animal fur, muddy paws and general wear and tear. It’s made from a unique blend of cotton, polyester and spandex, which ensures that it fits your furniture like a glove. It’s simple to install and won’t slip off like many other throws and sofa slipcovers, just stretch it over your seat and you’re good to go! It’s simple to wash too, you can pop it into the washing machine and then tumble dry on a low setting afterwards. This dog couch cover is available in a selection of different colors and what we liked about this particular brand, was that the reverse side featured an attractive leaf pattern. This dog couch protector has been specially designed with a longer back, which means that it’s likely to hold its place better. The material is quilted and has a soft touch which your family and animals will appreciate! The fabric features a water-repellent finish, so perfect for light spillages and damp fur. It’s machine washable too, so no need to take it to the dry cleaners. Another great feature was that it’s simple to install, just slip it over the sofa and that’s all it takes! When you are looking for the ultimate dog couch cover, you should always take comfort into consideration. This is because you’re likely to use this product on a daily basis and why waste all that time, sitting on something uncomfortable? With the Elegant Comfort Protector, you’re not only getting a nice soft fabric to sit on, but protection for your valuable furniture too. This particular brand offers a range of colors and styles that you can match with your home. They’re all fully reversible too, so when you’re bored, you just need to switch up the sides. The fabric features a water repellent surface and is machine washable too. Available in a variety of different sizes to suit your furniture, these covers just simply slip over your couch and tie at the back with secure straps. If you are looking for a dog sofa protector that provides a perfect fit, then this Bella Kline product may be the right choice for you. It’s got a nice contemporary grey design, that is fully reversible – giving you the flexibility to change the appearance whenever you see fit. 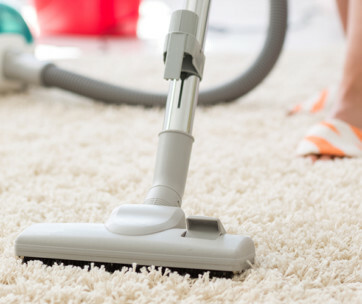 It’s available in a range of sizes to suit your furniture and will protect against many stains and odors. This is a great product for households with animals of families. Why compromise with your valuable furniture, when you can protect it in such a stylish way? This is a simple one-piece construction which stays in place with special rear flaps that tuck into your seat cushions. The flap on the side has a few pockets too, where you can store your favorite magazines and of course, the TV remote! Another nice feature, is that the fabric is made from 100% hypoallergenic quilted microfiber – so excellent for people with allergies too. This is the best pet couch cover for those looking for something strong and robust. This furniture protector is made from heavyweight microsuede material that is perfect for leather sofas. 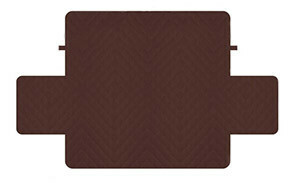 The design also features a thick layer of anti-slip backing which helps keep the furniture protector firmly in place. If this doesn’t provide enough protection, the cover also comes with optional stay-put straps to ensure it doesn’t budge an inch. Fitting a variety of different sized sofas and chairs, this textured sofa cover provides a nice contemporary cover that will protect against minor spillages and stains. Slightly more expensive than many of the other covers on the market, we felt that the durable fabric and design made up for the extra cost. Not only will this cover protect your sofa but it’s going to look good too. It can be tricky knowing which type of dog couch cover is the best for your furniture. Many of the products you will find on the market are flimsy and won’t last long. Below we will talk about what to look for in a good couch cover, why it’s always good to use one and we offer our best washing advice. Probably the most important feature. When you buy a dog couch cover, you will need to measure the size of your sofa, bed or chair to determine which is the correct size for you to buy. If you end up with the wrong size, then the cover is likely to fit badly and therefore will not protect your furniture adequately. Are you looking for a furniture protector for yourself? Or perhaps you want to protect your sofa from your young children? Whether it’s animal fur or sticky hands that you want to protect, then you will have to bear this in mind when looking at different fabrics and styles. When it comes to children and animals, your furniture will always benefit from a waterproof cover. Some people find them unsightly, others find them essential. The question of whether or not you should choose a dog couch protector with straps depends largely on the material of the sofa (is it slippy? etc) and also how often it is used. If the couch is being used daily then you might want to find a robust solution with straps. You will find that the heavyweight fabrics and waterproof designs may cost a little extra. Work out your budget first, but remain flexible as there’s no point buying the cheapest on the market. Take a look at your current couch and your surrounding decor - what are the dominant colors? You will find that there are a large selection of colored sofa protectors available and many are reversible, which means that you can choose from several different designs. Make sure you purchase a comfortable fabric - after all, you will often be sitting on this! 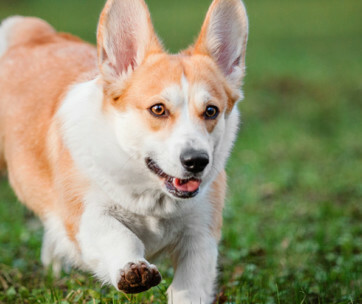 Other features to look out for include: water resistant and waterproof fabrics, stain resistant fabrics, machine washable fabrics and odor resistant fabrics for smelly dogs! The real question should be... why would you not use a dog couch cover! Ok, let’s be honest here. Animals (not just dogs) can be messy little creatures and they often like to leave evidence of where they have been sleeping - what we’re talking about here is big balls of fur and of course muddy little paws. Not only this, but some animals like to scratch and bite furniture too. It makes sense to protect your furniture as you will extend its life and keep everything cleaner for longer as all sofa protectors are washable. Dog couch covers are also great for protecting your furniture against young children with sticky hands and general wear and tear from adults too. Another nice reason why a dog couch cover is a good investment, is that they freshen up the look of old sofas, giving them a new lease of life. 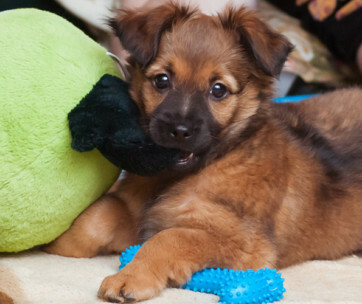 Q: How do I wash my dog couch covers? A: Dog couch covers come in all shapes and sizes and are often made from washable materials that you can easily pop into your washing machine. However, this won’t apply to all dog couch covers. So the best advice we can give is to follow the instructions on the label or contact the manufacturer for further advice. Q: How often should I wash dog couch covers? A: Considering that your couch is one of the dirtiest places in the house in terms of the sheer amount of germs that it contains, it’s safe to say that you should wash your slipcovers regularly. You don’t have to wash them as often as your bedding of course, but it does make sense to wash them at least once every couple of months. At least! Unless they are particularly dirty or you have seen your dog roll about in nasty stuff then it needs to be washed immediately. 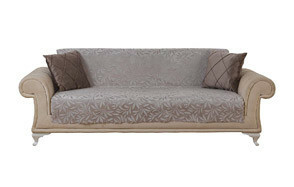 Our absolute favorite product from this list was the Sofa Shield Reversible Sofa Slipcover. One of the most popular couch protectors out there, The Original Sofa Shield has a fantastic reputation. The cover itself is made from very soft material and is super generous in size. There’s a good variety of different colors and funky patterns to choose from, so you can match them to your home. We liked that these covers were fully reversible too so you can swap the covers around for a different look. If you’re looking for a secure couch cover then this also fits the bill as it features a patent pending strap that holds it firmly in place. Other features that made this our favorite was that it was machine washable and the company provide a lifetime warranty - now that’s a brand we can trust!